CAIRO (Bloomberg) -- GB Auto, the Middle East's biggest independent car manufacturer, said it ended negotiations with Tata Motors Ltd. of India. 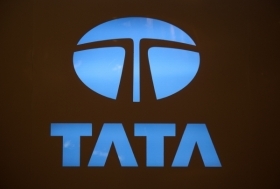 The two companies had been in “advanced stages” of talks that would have brought Tata's products to the Egyptian market through GB Auto, the Cairo-based company said in an e-mailed statement Thursday. “During the course of our talks with Tata Motors, it became obvious that our priorities differed in important respects,” Raouf Ghabbour, CEO of GB Auto, said in the statement. GB Auto, which assembles passenger vehicles for Hyundai Motor Co., has said it is looking to partner with a Chinese or Indian manufacturer to assemble its cars in Egypt. Hyundai has told the company it will end assembly operations in the North African country by the end of 2013, Ghabbour said in an interview with Al Arabiya television Nov. 10. Hoda Yehia, investor relations specialist for GB Auto, declined to comment beyond the company's statement.